We often hear about the importance of sleep from health specialists and advisers. We also intuitively know it ourselves. But where is the evidence? Let’s take a closer look at the research and science behind the benefits of sleep. It’s unanimous: all neuroscientists agree that you can kill a person by depriving them of sleep. Sleep is necessary in order to maintain brain function. When you are sleep deprived your brain begins operating differently or not at all. In many ways, sleep has become an afterthought, a transitory period between work hours rather than a vital part of our lives. We often sacrifice rest to finish a deadline, get some extra work done, or having that third drink on a work night. Why waste time sleeping when it can be spent on work,right? During sleep our brain consolidates memories, this is important learning and securing information we’ve absorbed as well as well as creating long-term memories. Sleep also has an astounding effect on our overall psychological health. Evidence shows an obvious link between sleep deprivation and increased anxiety or depression. One night of disturbed sleep can put you in a bad mood, but if it becomes a habit long-term results of sleep deprivation can be devastating. There are several stages of sleep and each provides us with the tools necessary for brain restoration and function. The first cycle is called NREM (non-rapid eye movement). 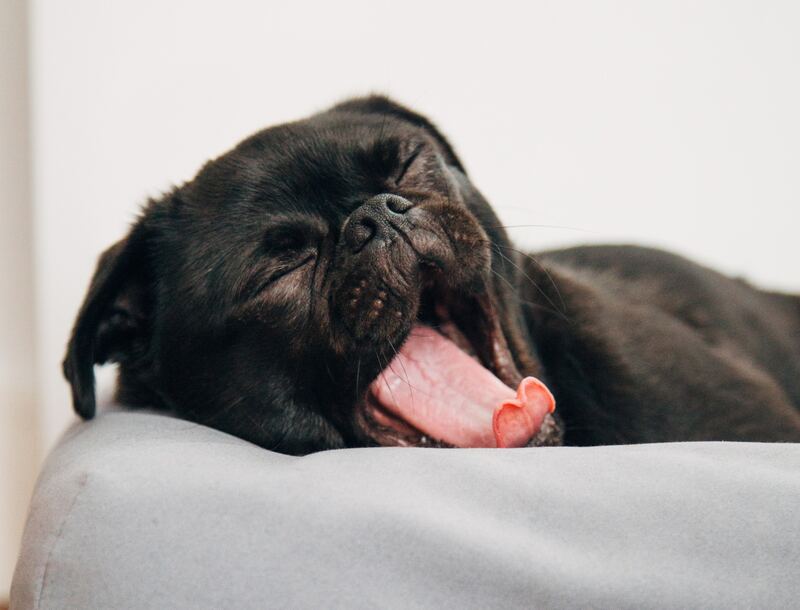 NREM happens in the first 90 minutes of sleep. It’s the period of time where your body begins to repairdamaged tissue, rebuild muscle and bone as well as strengthening the immune system. Because of all the restoration that happens during NREM your body craves sleep when you’re unwell. This is the main reason why you tend to take more naps when you’re sick or your immunity is low. The second sleep cycle is REM (rapid eye movement), a period in which brain activity increases. Within this phase, brain processes the information your brain has gatheredthroughout the day and is manifested in the rapid movement of the eyes. This stage of sleep has a positive effect on our emotional responses and develops our brain’s ability to process certain emotions. REM sleep is harder to achieve if you are not getting the correct amount of sleep and in turn, diminishes your ability to process your emotions effectively making you prone to feelings of irritation or impulsiveness. A consistent lack of sleep can lead to severe sleep deprivation. In most cases, it occurs voluntarily, at the hands of cramming and pulling all-nighters. There are also several cases, however, where sleep deprivation occurs due to outside circumstances, such as noisy neighbors keeping you up, we’ve all been there and we’ve all probably been that noisy neighbor. As harmless as this may sound, if you’re not getting a good night’s sleep, for whatever reason, you can develop a slew of sleep disorders. Sleep disorders can make it difficult to sleep for prolonged periods of time and can lead to the development of more serious illnesses. Chronic sleep deprivation seriously affects our physical and psychological health, happiness and social life. Our brain is a very complex organ and requires a lot of energy for it to function normally. For children, sleep is crucial in healthy brain development. During the early stages of life, a steady release of growth hormones is required. These hormones are released as early as pregnancy, meaning pregnant women should also be aware of maintaining healthy sleep habits. During the later stages of development, brain maturation occurs at a higher rate, making sleep even more necessary. In order to facilitate brain and body development in children, it is recommended that children aged five to 10 sleep between 10 to 11 hours a daywhile those aged 11 to 17 should be sleeping 8.5 to 9.25 hours a day. If children in these age groups do not get the recommended amount of sleep it may developmental disorders and aggressive behavior. Aside from physical dangers, sleep deprivation can also affect the psychologically. It can impact our ability to interact with other people and build relationships. This can also lead to a drop in productivity and performance at work and diminishes our ability to collaborate and work in groups. Among all the age groups, elderly people require the least amount of sleep as their bodies are no longer developing. Sleep deprivation is easily diagnosed by tracking the number of hours you of sleep you’re getting every night. There are also noticeable symptoms you can look out for including fatigue, moodiness, and lack of focus. Additionally, here are a few more tips to help you avoid sleep deprivation. While these are easy lifestyle changes their results can change your brain function significantly. But don’t take my word for it: take control of your life now and see the benefits for yourself.